The travelers were forced to a standstill as the protesters took over the roads. Travelers plying the Benin-Lagos Expressway got more than they bargained for. They were stranded on expressway on Monday morning. 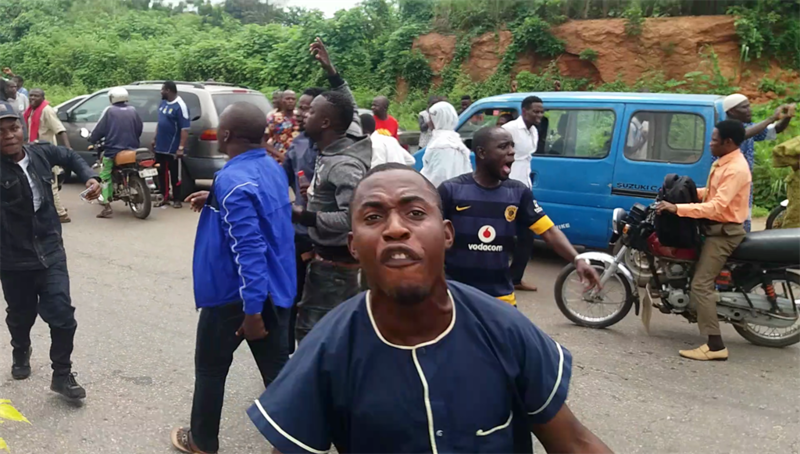 It was due to a protest by students of the Tayo Akpata University of Education, Ekiadolor, over the poor state of the institution. Residents of Ekiadolor community appear to have also joined the protest. The school is located in the Ovia North-East Local Government Area of Edo State.